As there is no progress on the Idaho front, I am reverting to another aspect of my weekly Pick’N’Mix Theme – Books. 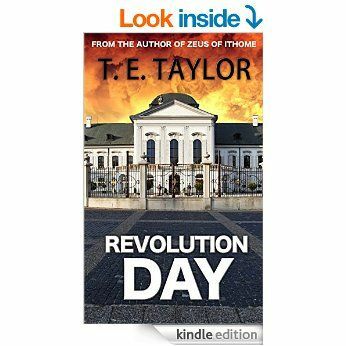 So we start with my review of the last book that I’ve read, T E Taylor’s Revolution Day. Who can a revolutionary trust? As an autocratic and repressive ruler hanging onto power after 37 years, Carlos Almanzor seems to have little choice as he tries to survive. The scenario that Tim Taylor paints so vividly echoes the real-life situations of so many abusers of power, and the downward spirals of many dictators. And the scheming of Carlos’ colleagues proves very Machiavellian – very appropriate since I won a copy of “The Prince” on the launch day of Tim’s engrossing novel. In a way, I could relate being part-Chilean and having known both refugees from Pinochet and supporters of the Sandinista Revolution. The Latin flavour worked as well as the political elements, and through it all I had to root for Carlos’ estranged and imprisoned wife Juanita, as she reflected on the revolution and what could have been. In her character there were clever echoes of other imprisoned leaders that represent hope. Perhaps for liberty there is light at the end of the darkness. Since reading “Revolution Day”, I’ve scanned the bookshelves in my office and in my Kindle. Too many books to read, and I can’t stop buying more. For everyone that I finish, I buy three more. The dilemma was resolved when I had an idea for a short story and began looking into the Viking foothold in Vinland. 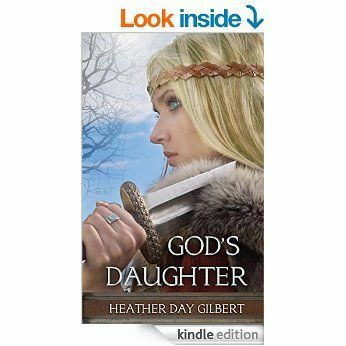 Having read an interview with author Heather Day Gilbert when God’s Daughter (Vikings of the New World Saga Book 1) was published, I’ve chosen that as my next foray. There are other books that I’m reading or rather have on the go, like “The Welsh Gypsies” by A.O.H. Jarman and “Four Years on the Great Lakes, 1813-1816: The Journal of Lieutenant David Wingfield, Royal Navy” by Don Bamford, & Paul Carroll. But they are non-fiction research, so I dip in and out of them for my own writing. They will be on my desk for a few more months. Have you read any of these books, even Machiavelli’s “The Prince”?